It’s no surprise that chain-link fences in Northern VA, and throughout the world, are the top selling type of fence available today. Ever-escalating events of random violence and the everyday security threats we all encounter demand commonsense security solutions. Flexible enough for customized applications yet strong enough to provide significant security for homes and businesses, the chain-link fence in Northern Virginia is often the best choice for the job. pool safety, enclosing athletic fields and tennis courts, protecting critical business equipment and commercial fleet vehicles, as boundaries for parking areas, providing safe pet areas and children’s playgrounds, organizing interior storage and warehousing spaces, property perimeter security and as a component of a secure access control system. For over 170 years chain-link fences in Northern VA have proven their worth with faithful, affordable performance. The skilled professionals at Hal Co. Fence have installed many of those dependable chain-link fences in Northern Virginia over the past 30 years for homeowners, businesses, government and public agencies, and a variety of genuinely satisfied customers. 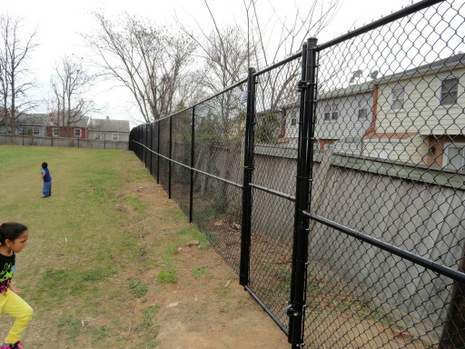 Chain link fences offer Northern VA home and business owners secure, attractive, affordable fencing. For quality chain link fences in Northern Virginia installed by a trusted local fence company, call the trusted fence professionals at Hal Co. This entry was posted on Wednesday, November 25th, 2015 at 6:40 pm	and is filed under chain link fence. You can follow any responses to this entry through the RSS 2.0 feed. Both comments and pings are currently closed.